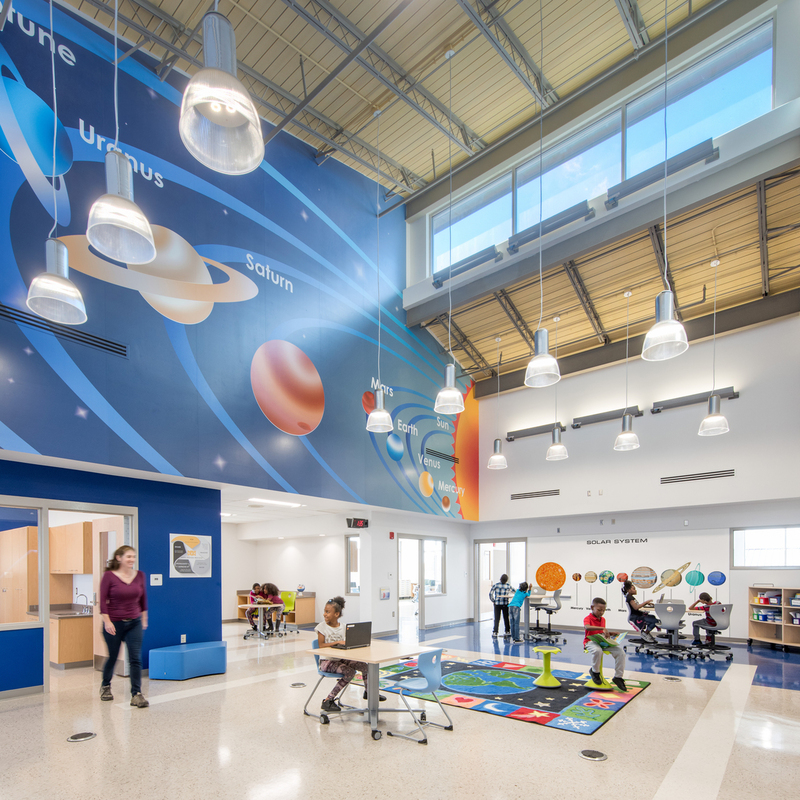 Envisioning the possibilities for tomorrow’s learners. Located in a low-rise, urban area, the new Discovery STEM Academy will replace the existing primary school on the same site. 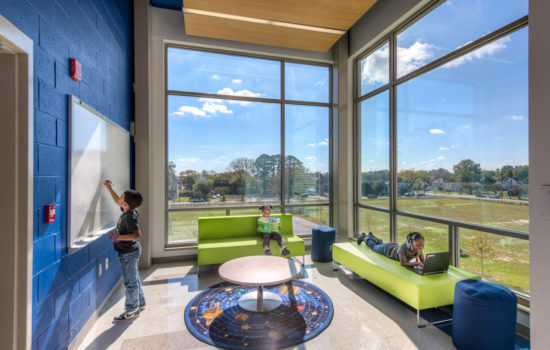 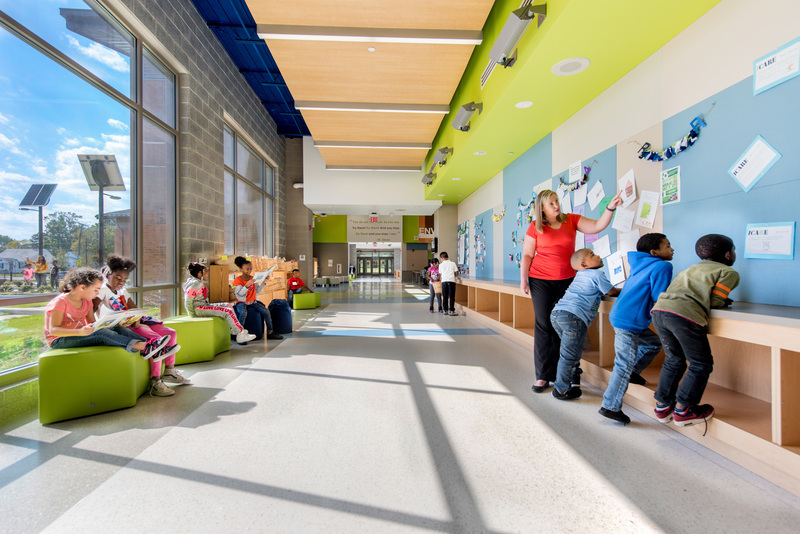 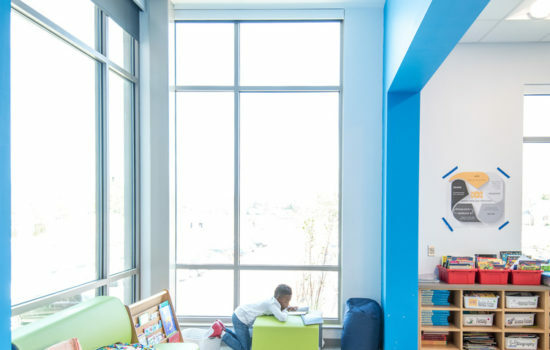 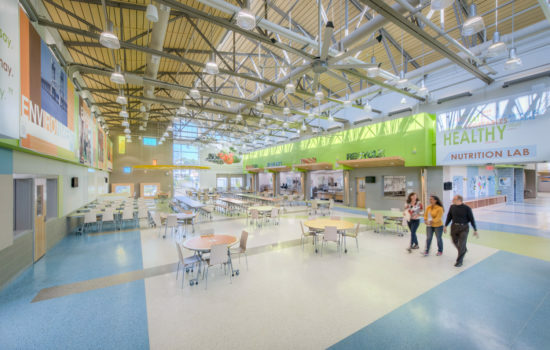 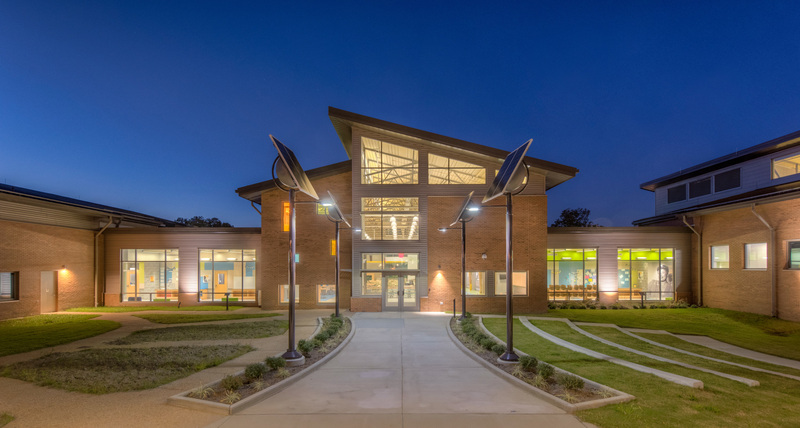 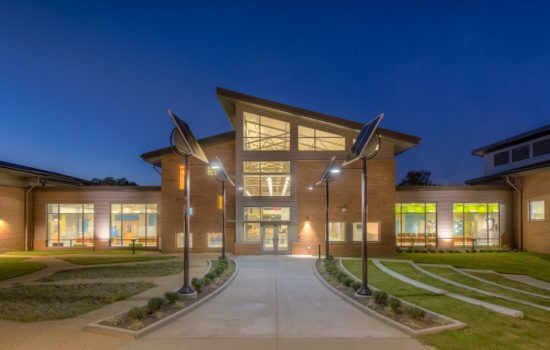 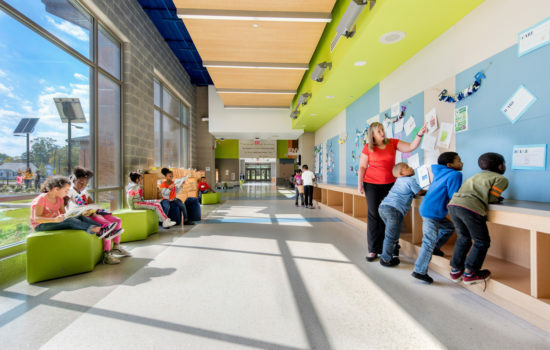 Through a collaborative design approach with the client, the new academy encourages learning everywhere and facilitates student-driven, real-world, project-based learning. Today’s learners must constantly be challenged to become innovative, adaptable and collaborative. 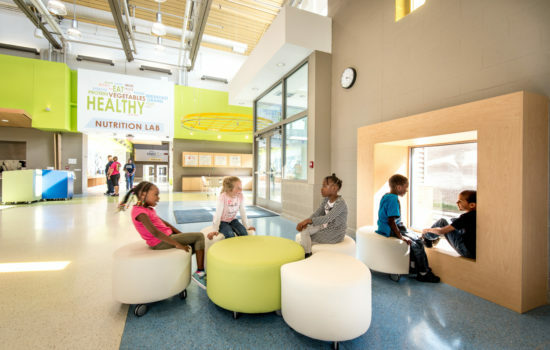 Opportunities are provided to allow students to learn how, when, and where they work best, from individual reading nooks in the Nutrition Lab to I-Wonder Walls where students can write a question or engage in online research. The academy approaches teaching and learning as a holistic experience, educating not only the mind, but the body and spirit as well. 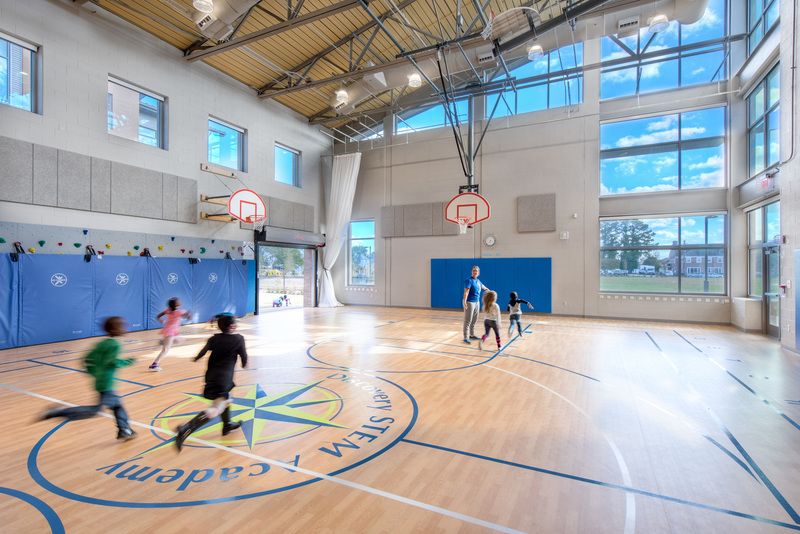 The four main aspects of learning at the school are Leadership, Nutrition, Fitness, and Discovery. 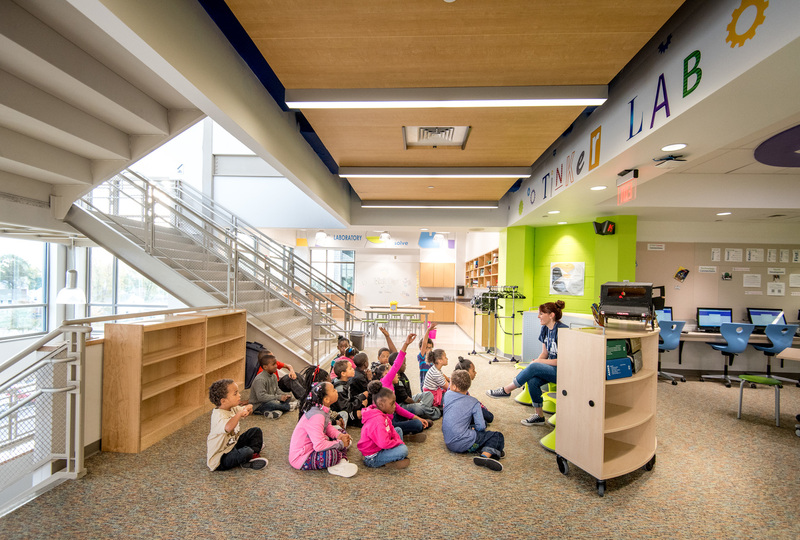 By training all four aspects of learning in unison, the student can see the synergy between them, marking connections that foster a greater educational experience. 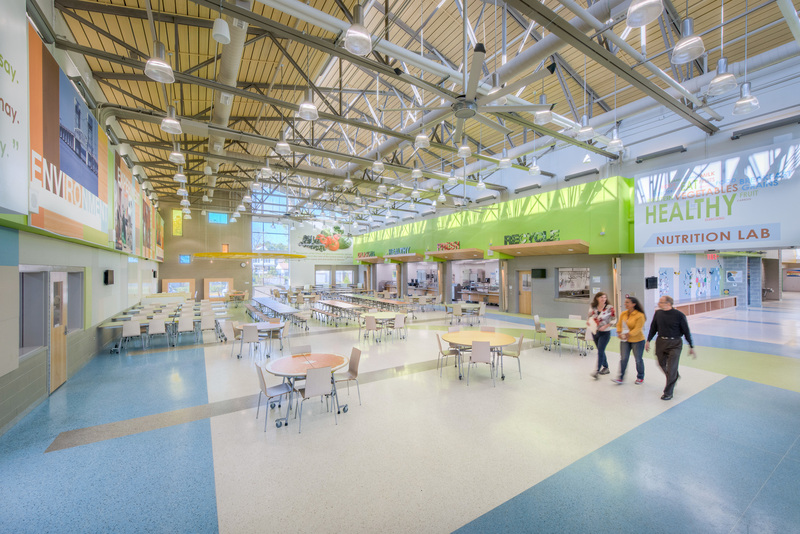 The four elements of the holistic student are represented in the organization of the building’s floor plan. 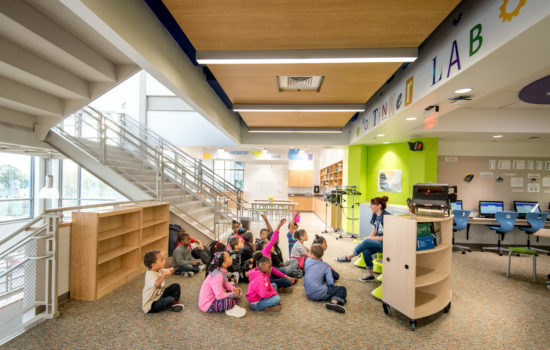 The main corridor, dubbed “Learning Lane,” provides displays and places of inquiry to nurture impromptu learning. 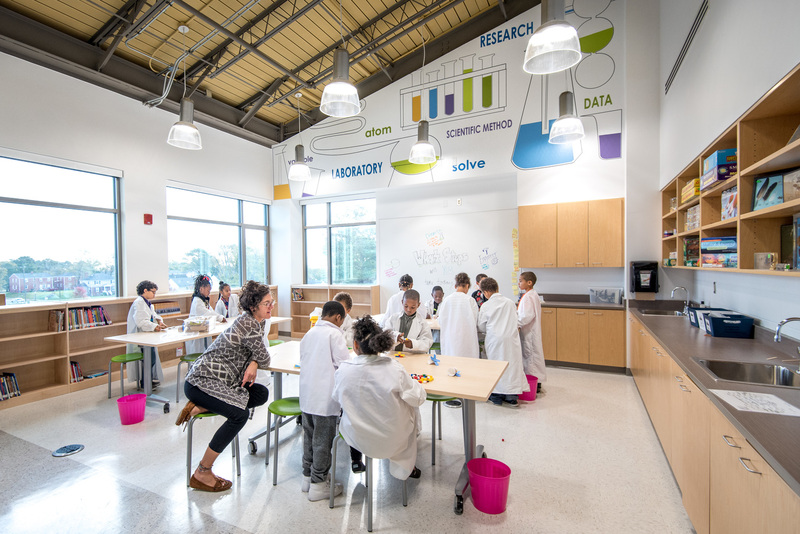 Open laboratories such as the FoodLab, EcoLab, and FitLab allow the students to explore, hypothesize, and experiment in dynamic spaces. 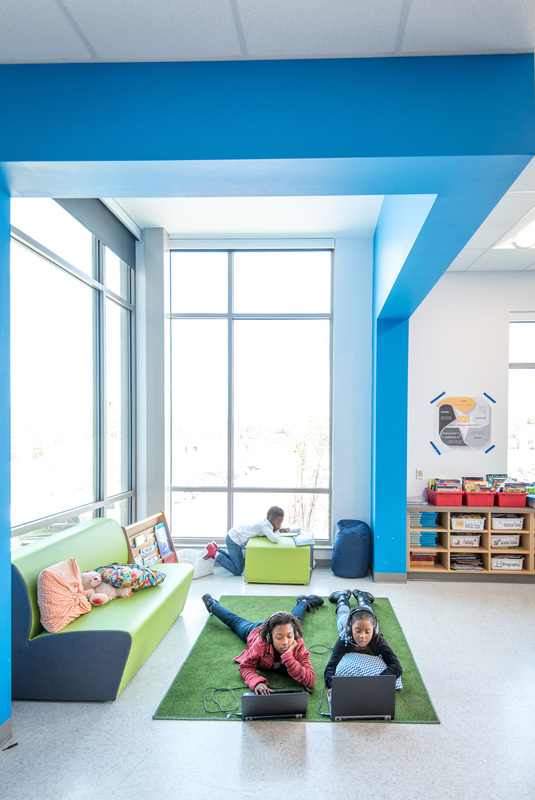 Formal and informal learning spaces are provided throughout the entire building and campus to provide a variety of areas where students can collaborate in small groups, participate in peer-to-peer learning, or engage in individual discovery. 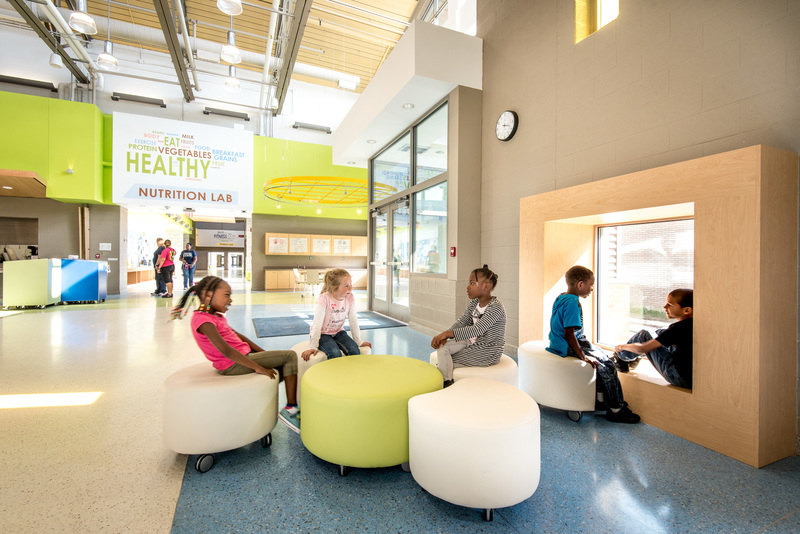 The Collaborative Learning Zones located at the center of each classroom cluster, the Central Learning Commons, the Outdoor Learning Classroom, and the Outdoor Amphitheater with edible gardens provide unique learning environments for student groups of all sizes. 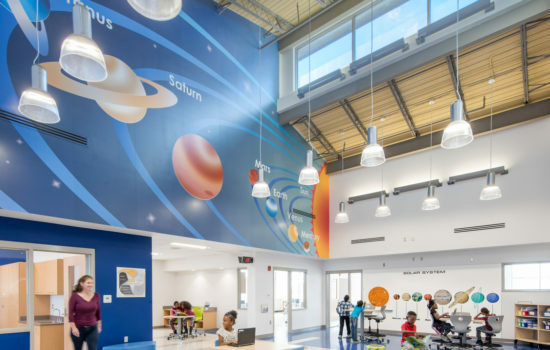 Learn more about Discovery STEM Academy in this case study developed by VS.